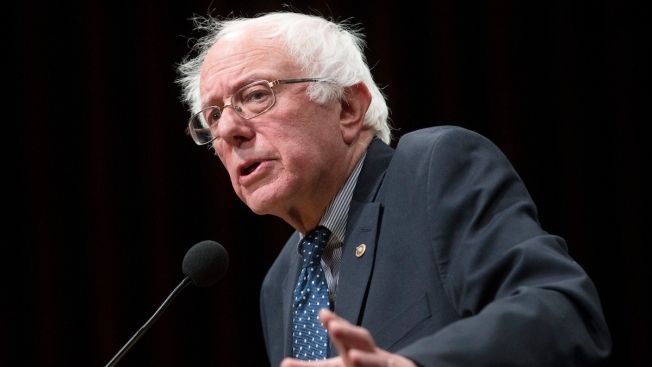 Another Poll Has Bernie Sanders Leading Hillary Clinton in N.H. FILE - In this Jan. 14, 2016 file photo, Democratic presidential candidate, Sen. Bernie Sanders, I-Vt, speaks in Hanover, N.H. There was a time when Democrats fretted about Hillary Clinton’s presidential campaign becoming a coronation, leaving her without the tests of a primary season to prepare for a general election matchup against the Republican nominee. In the past two weeks, the race for the Democratic Party’s 2016 presidential nomination has evolved from relatively civil disagreement over policy into a contentious winter competition between Clinton and Bernie Sanders, the independent senator from Vermont. For the second time this week, a new poll has Bernie Sanders leading Hillary Clinton among New Hampshire Democrats. A Suffolk University poll released Friday has Sanders leading Clinton 50 percent to 41.4 percent, a lead of nearly 9 percentage points. A CNN/WMUR poll released earlier in the week had Sanders leading Clinton 60 to 23 percent in New Hampshire. The Suffolk poll also asked which Democratic candidate has the best chance of winning the general election against the Republican nominee, and 60 percent said Clinton, compared to just 27 percent for Sanders. In addition, those surveyed were asked if they'd like to see Vice President Joe Biden get into the race. Seventy-six percent said no, and only 17 percent said yes. Another seven percent were undecided. Both Sanders and Clinton were in New Hampshire on Friday. The New Hampshire primary is scheduled for Feb. 9.